Like most endeavors, the right equipment makes the task easier. Here are a few tools to help you live best! Your 6-Week Guide to Live Best, Simple Solutions for Fresh Food and Well-Being. Actionable, easy, delicious. 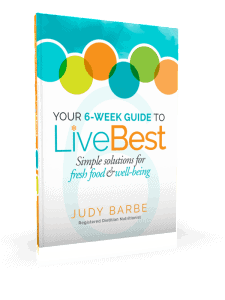 Filled with assessments, food tips, inspiration, and humor, in Your 6-Week Guide to LiveBest, there are more than 100 realistic solutions for fresh food and a reboot of habits for a happier, healthier, and stronger you. This guide is not a diet plan, but a healthful approach to eating high-quality foods, setting up your environment to mindlessly eat better, moving, and sleeping to nudge you in the right direction to feed your soul, heart, muscles, bones, skin, eyes, energy, and well-being. Available in hard copy and e-book. Order your book on Amazon.com. 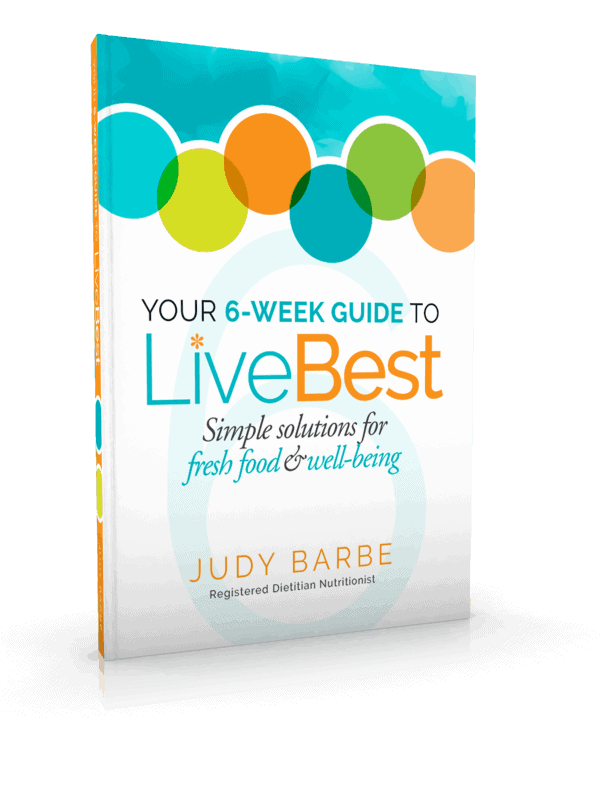 Many are using Your 6-Week Guide to LiveBest in worksite wellness. To make it convenient and easy, I’ve created a FREE Leader Guide and weekly slide decks for facilitators to use in conducting group meetings. Click on “Get It Now” to access the tools with a simple sign up. Yep, it’s free and that easy! 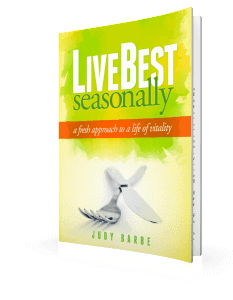 LiveBest Seasonally e-book From summer to spring, LiveBest Seasonally is an e-book filled with solutions on ways to use seasonal foods. You’ll find delicious recipes with power-packed vegetables, fruits, whole grains, and more using ingredients that are easy to find, plus some nutrition nuggets thrown in…just because. Order your copy here. 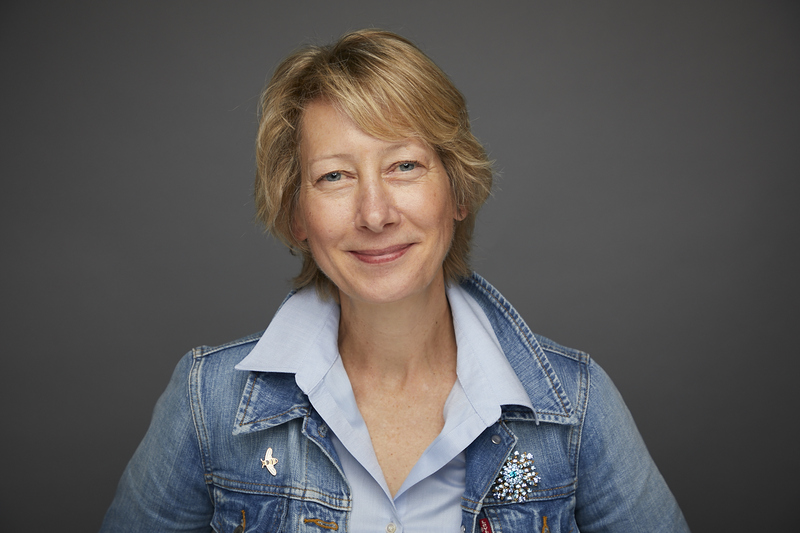 You Must be Present to Win Webinar Series…a touch up, a refresh, a reboot for a happier, healthier, stronger you. You Must be Present to Win is healthful approach to eating high-quality foods, setting up your environment to mindlessly eat better, moving more, and sleeping better to nudge you in the right direction to feed your soul, heart, muscles, bones, energy, and well-being. This 6-week webinar series guides you to simple, practical solutions for just $147.00. LiveBest Shopping List. Subscribe on the right side of this page for your FREE copy. 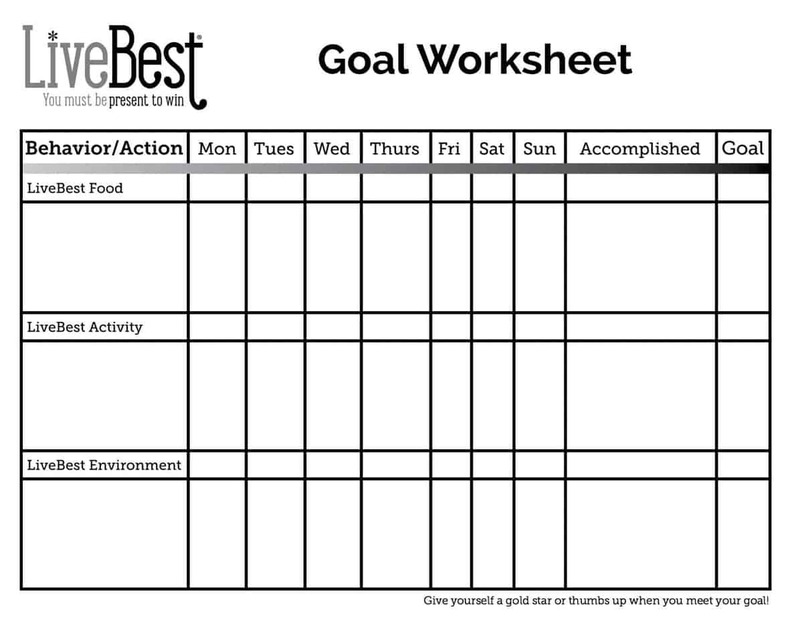 LiveBest Goal Worksheet Creating win-win-win results: Set a goal, meet the goal, to live even better! LiveBest Checkup A simple checkup to evaluate your eating, activity and soul food habits. 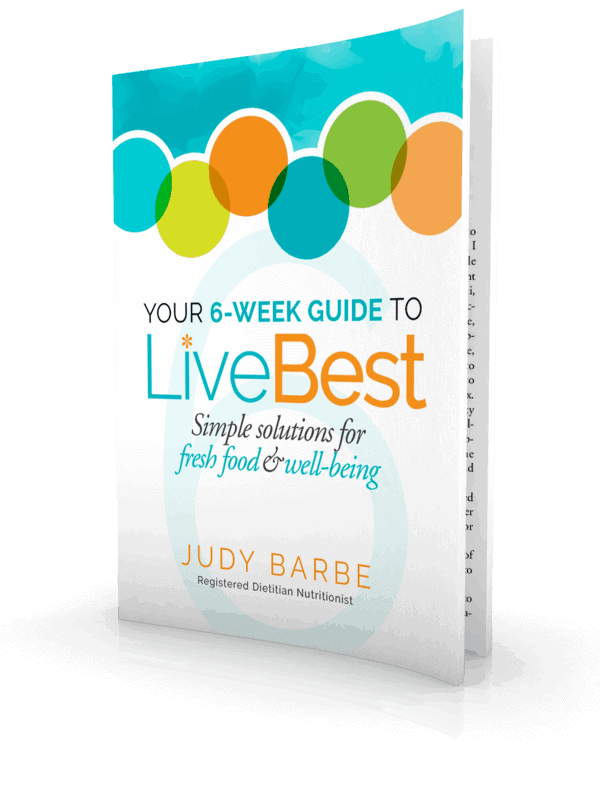 The key piece in Your 6-Week Guide to LiveBest, Simple Solutions for Fresh Food & Well-Being. 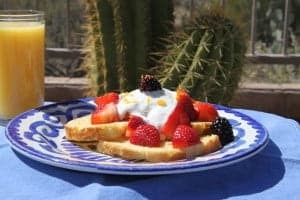 LiveBest Breakfasts Delish and Nutrish Ideas to shake up your breakfast routine. LiveBest Kitchen Essential Equipment The right tools and equipment make cooking easier. LiveBest Grocery List Stock your kitchen with power-packed foods to help you LiveBest. The (re)purpose of food tips to help you reduce food waste.